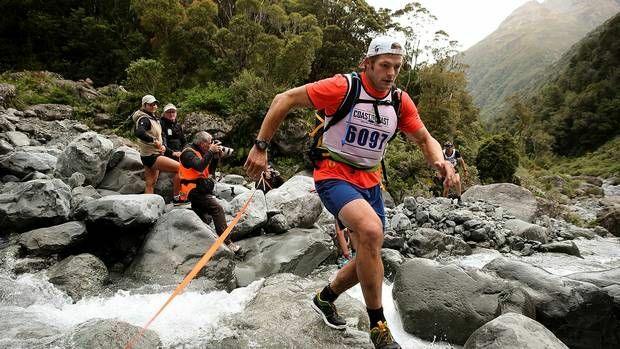 Recent father and retired All Black legend Sir Richie Mccaw is reportedly on the run from the "volcanic terror" of home life with a newborn baby and has joined up with a cross-country race despite having not registered to enter the race. "Yeah, I wasn't entered in the race" confirmed the All Black great "but the ruckus at home emanating from that new little demon thing that turned up recently, mate, I just snapped. I sprinted headlong from the house, grabbed the first race entrant I cound find, pleadingly swapped my 100th All Black cap and centurion test jersey for the blokes grotty running togs, t-shirt and race bib and here I am." the shrieking terror of home life.